The lineup for Lis Oeuf’s Vol.10 includes: Yuma Uchida and Kenji Nojima (interview about BANANA FISH), DearDream, Yuma Uchida (about his second single “Before Dawn”), GRANRODEO, Takuma Terashima, Dear Vocalist, A3! and Kenji Nojima‘s serialization corner, Nojiken Bar (with guest Makoto Furukawa). This issue includes reports on Daisuke Ono and Kensho Ono‘s tours. 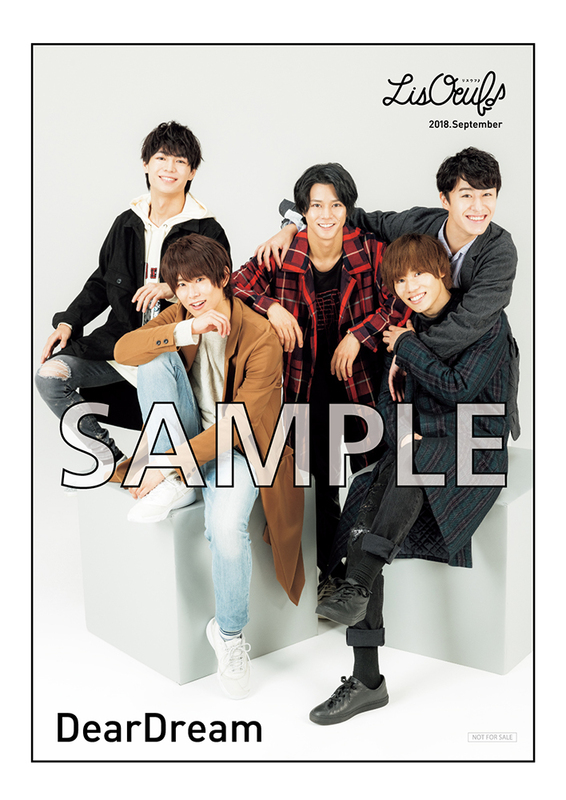 Additionally, Lis Oeuf unveiled the DearDream‘s bromide design. Lis Oeuf Vol.10 hits stores on 28/09/2018. This issue is available for pre-order at CDJAPAN.